For those hard to reach shot errors in accuracy and failure in shot consistency are usually caused by an unstable stance. 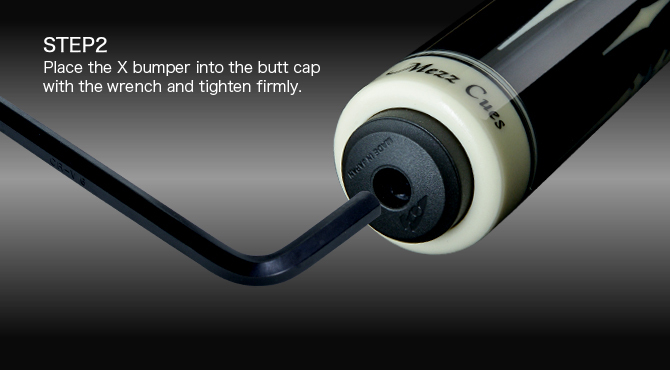 Even when using the bridge it may cause a missed shot or poor cue ball control. 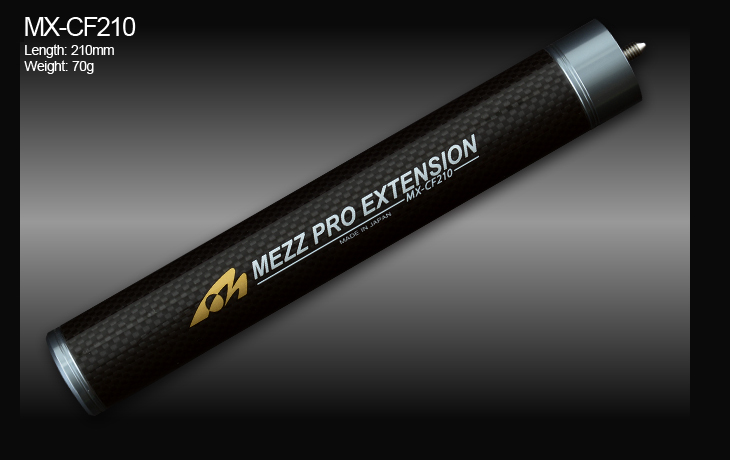 The Mezz Professional Extension allows for the maintenance of a normal stance for accurate pocketing of difficult to reach shots, as well as, precise cueball control. 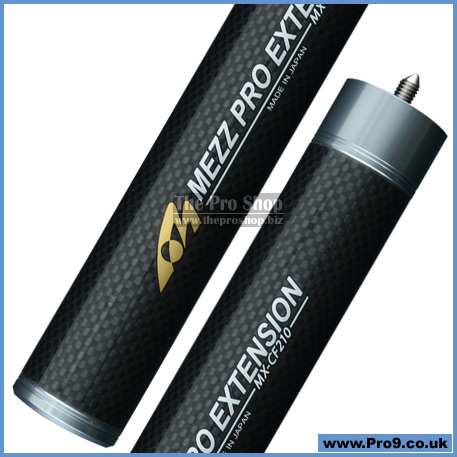 The Extension can be quickly attached and removed to continue your rhythm of the game and consistently make those sots that are just out of your normal reach. 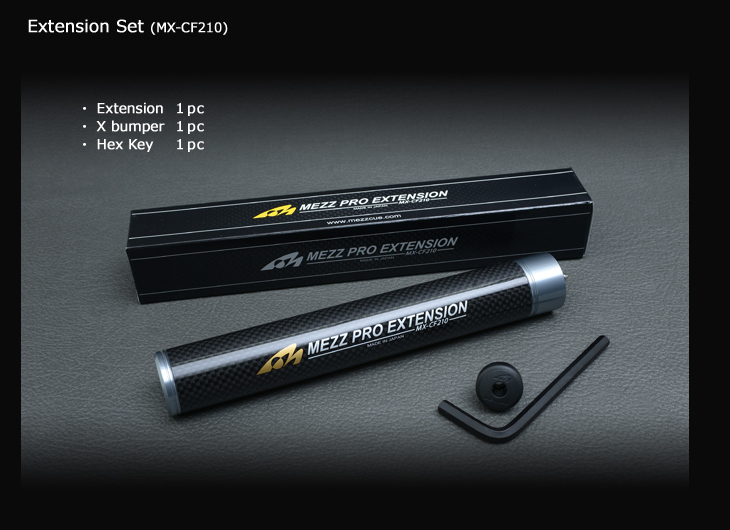 • If you want to use the Pro Extension you must check the rubber bumper of your Mezz cue first. 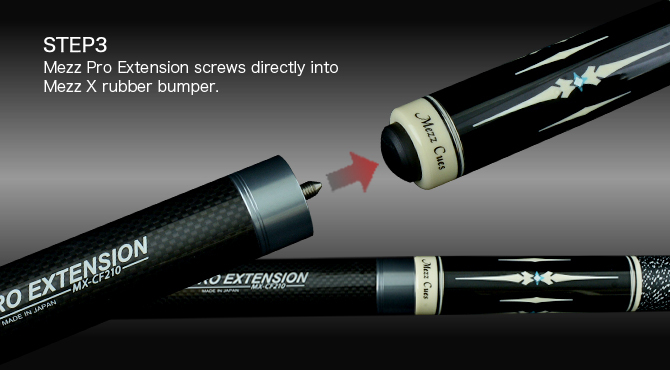 • If your cue is already equipped with the X rubber bumper, then you are ready to use the Pro Extension! 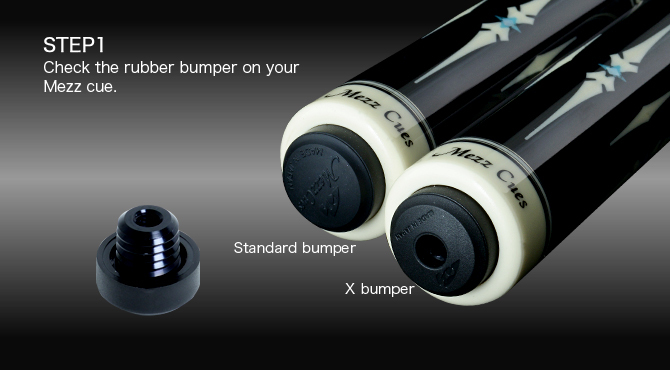 • But if your cue has the standard Mezz rubber bumper, just change it to the Mezz x rubber bumper and you are good to use the Mezz Pro Extension!